February 6, 2012 at 10:45 am · Filed under comm361, Personal Entry, ryanweisser	·Tagged " J.D. Lasica, "When Bloggers Commit Journalism"
J.D. Lasica, the senior editor of the University of Southern California Online Journalism Review, blogged about a panel USC held for their journalism graduate students in 2002. Experienced journalists Dan Gillmor, Scott Rosenberg, Rebecca Blood and Meg Hourihan were the panelists and Paul Grabowicz moderated the discussion. I found the blog entry extremely interesting because it was like I was in on the conversation. I felt like I was there listening to these people offer their opinions and advice about blogging, even though, technically, I’m ten years in the future and on the opposite coast of the United States. I think that this blog post shows how valuable blogging is. If it weren’t for this blog post, I might have never gotten the chance to read about these journalists’ opinions and advice. Their information is valuable because they’ve lived the world of print journalism, and they are in the business as it is changing. 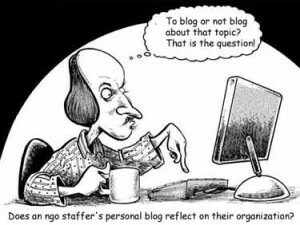 This blog enables me sort of rewind time and look into the past and see what journalists felt about blogging in the early 2000’s. It’s interesting how a simple blog post lets me see how much we have and haven’t changed in the past 10 years.